We are focused on exchanging practical experience — inclusive of people across race, gender and orientation, as well as lifestyle, level of experience and area of expertise. We are pragmatic, respectful and committed to listening to thoughtful and honest perspectives. Our community focuses on bringing together people passionate about building a stable and sustainable platform while being kind to each other. We strictly abide by our code of conduct and strive to build a welcoming and inclusive community. The values we live by, at Cloud Foundry. The Cloud Foundry community is large and still growing. These online communities help you get quickly connected with a community member or the Foundation. 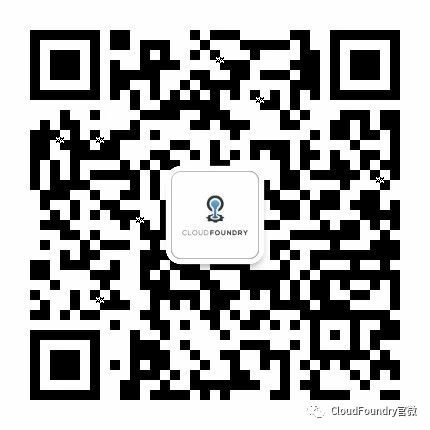 Cloud Foundry is an open source, multi-cloud application platform, delivered as-a-Service (PaaS). Cloud Foundry is governed by the Cloud Foundry Foundation, a 501(c)(6) organization. Cloud Foundry offers a flexible way of embracing digital transformation to help businesses evolve in the face of constant change. Cloud Foundry saves time and optimizes application delivery. Cloud Foundry provides a foundation for developers to lift things up. The Cloud Foundry Foundation houses complementary open source technologies focused on application developers and operators, the Cloud Foundry Application Runtime , Cloud Foundry Container Runtime, Cloud Foundry BOSH, Open Service Broker API, as well as many projects to support and extend them. Cloud Foundry is an open source cloud application platform, providing choice when it comes to clouds, developer frameworks and application services. Cloud Foundry makes it faster and easier to build, test, deploy and scale applications. Cloud Foundry is an open source project and relies heavily on the community to create, maintain and update the documentation and help new and existing users. Contributing to Cloud Foundry can be as simple as submitting a pull request for a bug fix, feature update, documentation update, fixing a typo, etc. The Cloud Foundry community relies on its contributors to keep the technology and docs current. Everyone is welcome to become a Cloud Foundry contributor. Getting started as a contributor in the community is the easiest way to offer your experiences and expertise to help improve the Cloud Foundry technology, community and documentation. For larger contributions, it is always best to communicate with the relevant project team(s) before beginning your work. Sharing your intentions early and updating the community often go a long way in avoiding any surprises. Being a Committer on many Cloud Foundry projects requires that you are able to work on the project full-time (or close to full-time). Having the support of your employer is important – Committers are typically employed by companies that participate in Cloud Foundry as a member or Certified Platform. Cloud Foundry Dojos are physical spaces where Committers work together on the Cloud Foundry platform. The Dojo program is a unique approach to gaining Committer status by working in-person with other Cloud Foundry engineers. Participation typically lasts 6-12 weeks and participants must be on site at one of eight Dojos worldwide for the duration of the program. Contact cf-dojo@cloudfoundry.org for more information. Anyone can contribute to Cloud Foundry (with a signed CLA), and we welcome your contributions! Contributors that have demonstrated consistently valuable and high quality contributions may be nominated to become a project committer by the project team. Developers typically graduate and obtain Dedicated Committer status. Candidates start with a paired programming interview to assess technical and communication skills. This will help ensure that the prospective committer is a fit for the team they will be joining. Passing candidates are then placed into one of the project teams (subject to availability and location constraints). At the end of their Dojo period, candidates may be offered a role as a Committer on the project. While becoming a committer through this process is not guaranteed, project teams work with the project leads to provide regular feedback to candidates. Participants are expected to participate in person for at least 6 weeks. If a participant is offered a position as a Committer on a project, they are expected to continue for at least a year. Committers work full time with the project teams, either in-person or via remote pairing. The specifics of the ongoing commitment are dependent on the nature of the project and its team structure. Once the project idea gains traction, propose the project to the associate PMC. If your project incorporates existing material or has dependencies on third party materials, then the project requires legal review and approval before being accepted. The proposal must include the name of the proposed Project Lead, proposed scope, approved PMC Development Operating Model, technical approach, and initial team committed to working on the Project. The PMC shall conduct or authorize to be conducted a due diligence review on any intellectual property or related issues on any such Project. Following the review of the project proposal, the PMC determines whether the project should be accepted as an Incubating project within the PMC. Read all about the development operations policy here. Folks in Cloud Foundry community are hiring! Learn more about working at Tryfacta Inc.
Events are a great way to meet your fellow Cloud Foundry users, share what you are doing, and learn from others.